Today's Daily Deal! 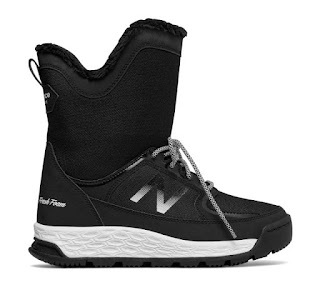 Save 64% on the Women's Boot BW1000WT, now Only $42.99 + $1 Shipping with code DOLLARSHIP at JoesNewBalanceOutlet.com! Offer valid Sunday, 7/22. Weather winter in style that protects your feet. Our cozy women’s 2000 Winter Boot features a water-resistant suede/nylon upper — plus an insulated layer to help prevent heat loss and NB Heat lining to help keep toes toasty. Whether you’re dashing through the snow or heading into work, the Fresh Foam midsole provides an oh-so-smooth ride with superior cushioning. We love this snow boot’s just-above the ankle length, perfect for transitioning from outdoors to indoors on busy days.